Dramatic changes in the government’s policy on foreign investment in the country are in the offing. Notes have been prepared almost overnight to allow 26 per cent foreign direct investment (FDI) by foreign airlines in the domestic carriers for the first time. The rationale for this change? “Private airlines in the country are in dire need of funds for their operations and service upgradation to compete with other global carriers,” says a note circulated by the Department of Industrial Policy and Promotion (DIPP). It comes in the wake of the troubles that Kingfisher Airlines, run by liquor baron Vijay Mallya, has been facing. According to newspaper reports, the carrier which loves to flaunt its luxury tag has run up debts of some Rs 8,000 crore and losses of over Rs 1,000 crore. From the time it began to ground most of its flights, everyone, from Civil Aviation Minister Vayalar Ravi—he backtracked later—to Prime Minister Manmohan Singh, has rushed to offer a bailout. The government is also planning another major policy change: it is thinking of allowing direct import of jet fuel by airlines as demanded by Mallya. All this has raised the hackles of civil society organisations, particularly those involved in rescuing another crisis-ridden sector: agriculture. A number of commentators have taken the prime minister to task for offering to help out the inefficient airline—by his own admission—while turning his back on farmers who were forced to commit suicide because they could not get enough credit to keep their small farms going. Others have insisted that in the free market economy that India espouses inefficient enterprises should be allowed to die. That’s misplaced anger and faulty logic. You simply cannot expect this government or the members of Parliament to understand why farmers ending their lives, in increasing numbers, should cause concern. There is a different dynamic at work here. What is playing out now is a confluence of interests centred on the stock market and crony capitalism. Mallya, after all, belongs to the same class as the ruling elite, a class that is far removed from the mucky reality of this country. Let’s take the latest club that Mallya is a member of: the Rajya Sabha or the “Council of States”. According to the current chairperson of the House, the makers of our Constitution envisaged the role of the Rajya Sabha along three axes: as a legislative chamber of elders discussing, revising or delaying legislation as per need; as an institution where interests of the states of the Indian Union could be projected and safeguarded and; as a deliberative chamber where greater and diverse experience is brought to bear on questions of significance. The Rajya Sabha, I guess, must be trying to do this but with more than half the members being crorepatis (people who have assets in tens of millions of rupees) it must be pretty difficult to bring this “greater and diverse experience” to bear upon important matters. An analysis of the data published recently after a two-year struggle by NGOs, National Election Watch and Association for Democratic Reforms, shows a significant number of MPs having shares or a controlling stake in private firms or enjoying remunerative directorships, consultancies and even regular salaries. 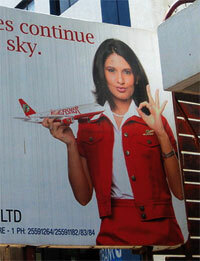 Mallya is a star member of this club. Among the MPs who have declared the highest remuneration in this category are ace corporate lawyer and ruling party spokesperson Abhishek Manu Singhvi who also fights cases that challenge government policy—and he is not the only one to do so—and Mallya. While Singhvi tops the chart at Rs 50 crore per annum, Mallya comes second with Rs 41.4 crore. Two opposition lawyers who have previously held ministerial posts come next: Arun Jaitley (Rs 10 crore) and Ram Jethmalani (Rs 8.41 crore). The prime minister is also a crorepati but with total asset of Rs 4 crore. Incidentally, our Lower House of Parliament, the Lok Sabha, has a similar character with 300 out of its 543 members being crorepatis. Should it surprise anyone that rescuing a business enterprise whose shares have plunged from a high of Rs 335 in December 2007 to Rs 17.55 in November this year, shaving off some Rs 3,500 crore from investor wealth, is a priority? Not too long ago, Raghuram Rajan, former chief economist with the International Monetary Fund, had warned that India is turning into an oligarchic society. His cause for concern was that India had (2009 figures) 55 billionaires for the $1.1 trillion of GDP it generates, whereas Germany, with three times India’s GDP and a per capita income that is 40 times higher, could show just about the same number of billionaires. His warning that few paid attention to: “Too many people have gotten too rich based on their proximity to the government.” We cannot pretend that we haven’t been warned.